"I know how Fortune is ever most friendly and alluring to those whom she strives to deceive, until she overwhelms them with grief beyond bearing, by deserting them when least expected . . . Are you trying to stay the force of her turning wheel? Ah! dull-witted mortal, if Fortune begin to stay still, she is no longer Fortune." 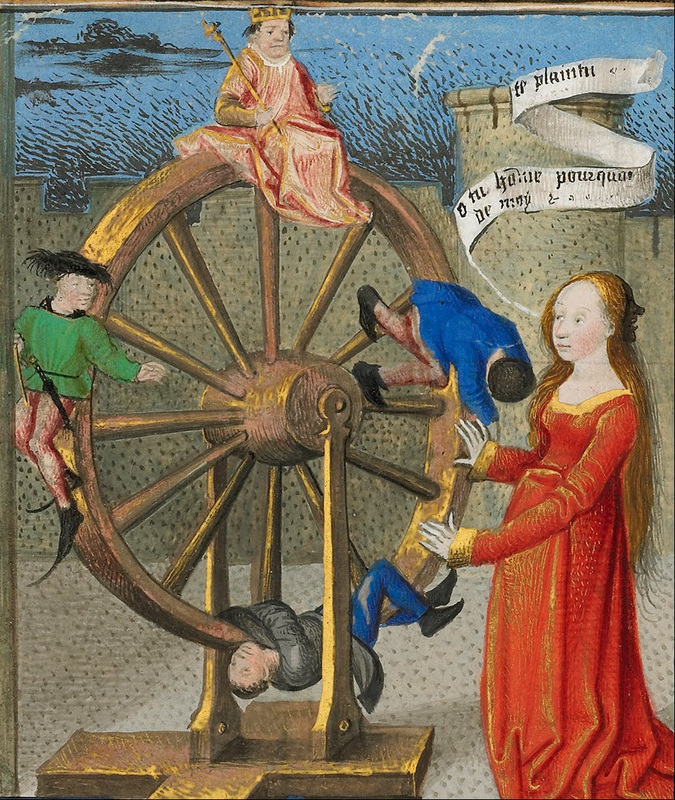 Through Rota Fortunae we publish works that dramatize the wheel of fortune at play in the world; pieces that work out the perennial problems of fate, faith, and freedom in the flesh of fiction; works that fate new forms into the world of books. Rota Fortunae's first publication is No Time To Be Lost (April 1, 2014), a screenplay by Christopher Yates: When a band of academic philosophers set out to save their careers, and the world, mind and body mix up a batch of pure mayhem. Avery Meir’s Ph.D. is in the bag, but jobs for philosophers are scarce and the suffering of the world is vast. When the keynote speaker at an academic gathering in Florida collapses in the midst of a stirring philosophical call for ‘peace and justice,’ the mantle of social relevance falls to Avery and her ragtag band of budding activists. Lest the spotlight swing to the dilettante French rival, Simone Marseilles (seductive siren of the European scene), Avery and her crew deputize themselves guardians of all things marginalized, and take their message of intellectual redemption to the streets. Their emerging search for the world’s ‘most oppressed’ carries them from the local to the global then back again, all on the dime of an enterprising micro-brew magnate who is himself in need of a little deliverance. With Homeland Security on their tail and academic reputations in the balance, they wager everything on one last push to do just a little bit of good in the world. Christopher Yates is a philosopher specializing in German and French phenomenology, aesthetics, and ethics. He is the author of The Poetic Imagination in Heidegger and Schelling (Bloomsbury Academic). 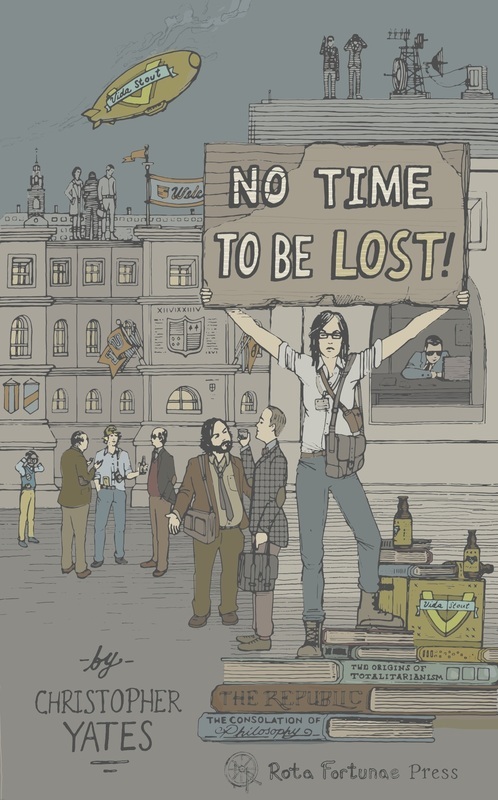 On April 1, 2014, No Time to Be Lost--complete with an introduction by Cheston Knapp and cover illustration by Dominic Heisdorf--will be available for purchase via Amazon or www.wisebloodbooks.com.